Mercedes SL-Class SL 400 AMG Line 2dr 9G-Tronic 2019 Review | What Car? What Car? will save you at least £16,911, but our approved dealers could save you even more. 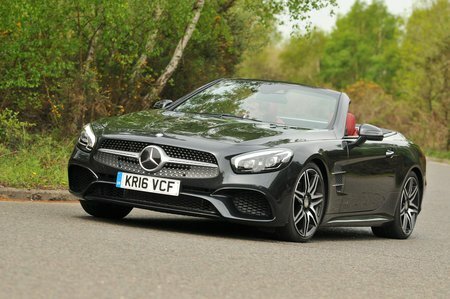 This twin-turbocharged is found in the SL 400 and offers the best mix of performance and running costs. It makes a decent noise, too.